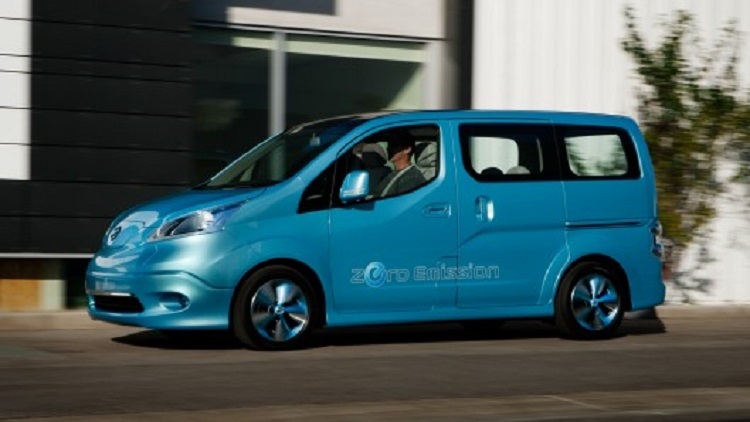 After almost a decade of brake, Nissan finally came back in the full-size van segment few years ago. Company launched all-new model called NV in 2011 as 2012 year model. The original model was primarily designed as commercial-use vehicle, but not so long after that, passenger version also came, simply called Nissan NV Passenger. Nowadays, this van is considered as one of the best offers in class. 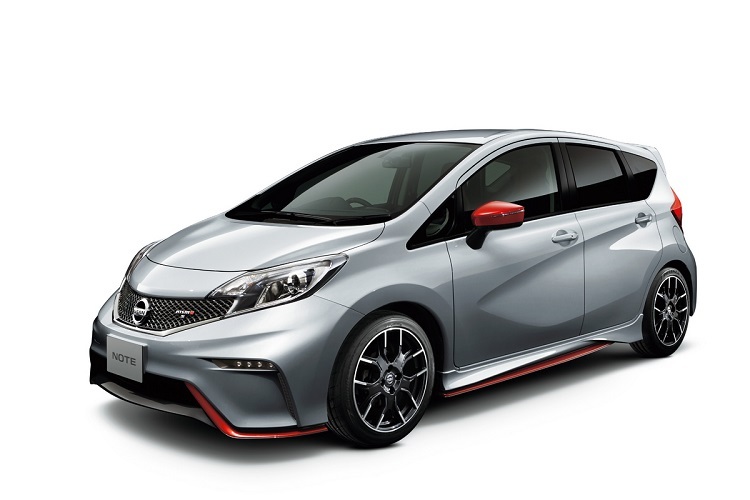 Beside that fact, company still keeps to improve it every year, so 2015 Nissan NV Passenger also comes better that previous-year model. The 2015 Nissan NV Passenger comes pretty much with the same characteristics as last-year model. But it also features some novelties. Its main characteristic is spacious and comfortable interior. It can accommodate up to 12 passengers. All features are made of extra high-quality and durable materials. Front seats offer plenty of room for driver and passenger, while on the back each seat comes with its own headrest. Reading lights are above each row and which is probably the most important thing. There are two 120V and four 12V power outlets. All off passengers can use their laptops, cell phones and other gadgets without fear of running out of batteries. The 2015 Nissan NV Passenger also features a unique climate control, where every seat has its own air vents. When it is about hi-tech features, it comes with an updated infotainment system, which includes navigation, Nissan Mobile Apps, which provides access to Facebook, Stitcher radio, Pandora radio and more. The 2015 NV Passenger is offered in S, SV and SL trim levels. When it is about safety features, it comes with traction and stability controls and with dual front, front side and full-length side curtain airbags. The 2015 Nissan NV Passenger is available with two engines. The base unit is a 4.0-liter V6 that produces 261 horsepower and 281 lb-ft of torque, while the optional engine is 5.6 liter V8, which is good enough for 317 horses and 385 lb-ft of max torque. 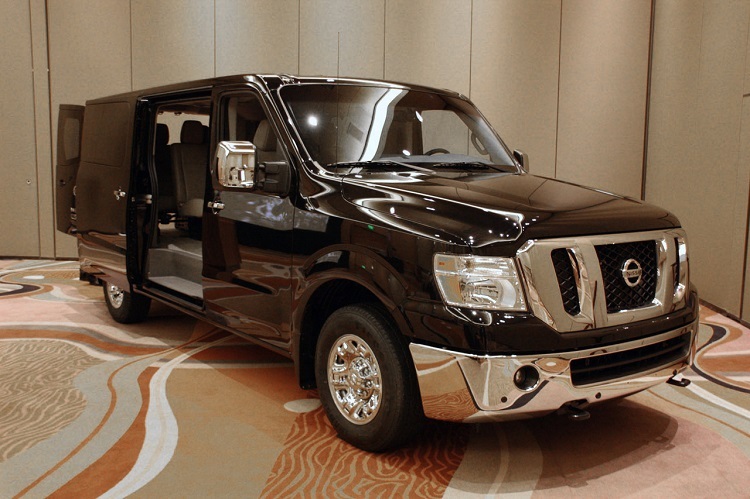 The 2015 Nissan NV Passenger starts at around 33.000 dollars. Main competitors are models like Ford Transit, Ram Promaster, Chevrolet Express, Mercedes-Benz Sprinter etc. what is the gas mileage (mpg) of the Nissan NV 3500 passenger van, V8 engine?